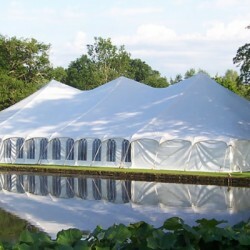 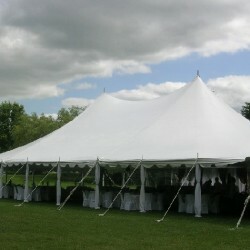 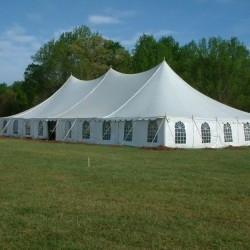 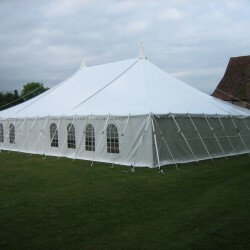 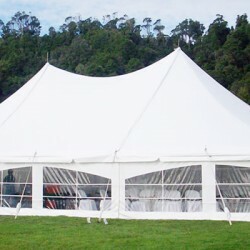 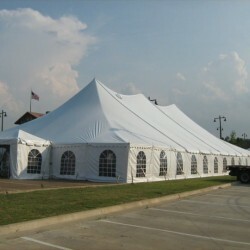 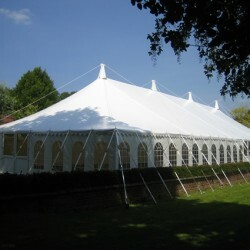 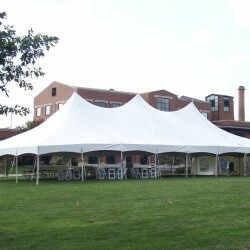 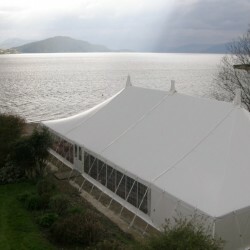 Peg and Pole Tents are the most cost-effective and popular of all the styles of tents. 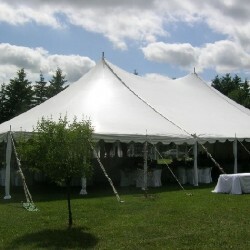 These structures are supported by pegs, side poles and center poles that are hammered into a soft surface. 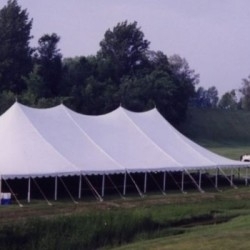 This tent is simple to assemble and it is manufactured from canvas or PVC material. Peg and Pole Tents is suitable for many different occasions including family celebrations, corporate functions or storage tent. 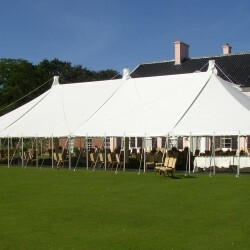 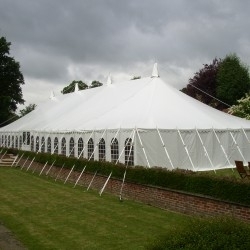 Peg and Pole Tents are available in a variety of styles and colours. 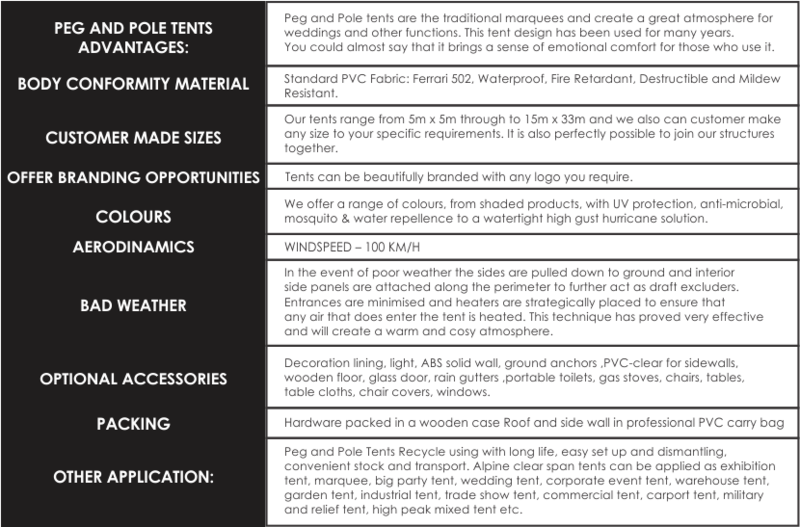 For Peg and Pole Tent standard Sizes starts from 30m x 50m, 30m x 50m, 10m x 10m, 9m x 18m, 12m x 30m, 15m x 24m, 15m x 30m, 15m x 33m, 5m x 10m, 5m x 5m, 7m x 12m, 9m x 12m, 9m x 15m, 9m x 18m, 9m x 21m, 9m x 24m, 9m x 27m to 9m x 30m. 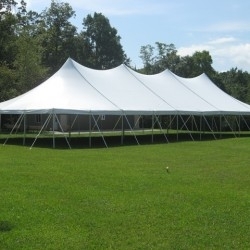 We have seating capacity of banquet and cinema style accommodate starts from 50 seater, 70 seater, 80 seater, 100 seater, 150 seater, 200 seater, 260 Seater, 300 seater, 180 seater, 400 Seater, 495 seater, 500 seater, 700 Seater, 800 Seater, 1180 Seater, 1200 Seater, 2000 Seater, 1800 Seater, 3000 Seater to 6000 Seater. 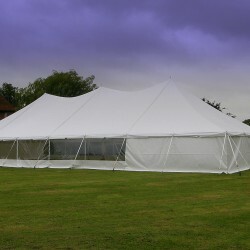 The Peg & Pole Tent is available in 6m, 8m, 10m and 12m widths in any length continuous in 3.0m bays. 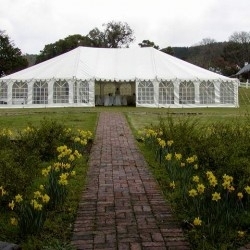 Boss Tents manufactures Peg & Pole Tents in Durban, Johannesburg, East London, Cape Town, Bloemfontein & Port Elizabeth.